The once mighty BlackBerry is now facing irrelevancy. Its mobile division is seeing declining sales every quarter, with the last quarter one of the world in BlackBerry’s illustrious history. The Canadian organization based out of Waterloo is now trying to sell itself to buyers, and while a deal was thought to have been finalised with Fairfax Financial, newer claims indicate that BlackBerry is still looking for suitors. Although BlackBerry has been facing a struggle since the launch of the first Android devices, the situation exacerbated this year. Devices launched this year like the Z10 failed to find any traction with the consumers, and this led to a dismal Q2, which saw BlackBerry issue a massive $934 million write-off due to unsold inventory of the Z10. In recent years, only Microsoft has had to issue a similar write-off, which it did with the Surface RT tablet. In the case of BlackBerry, however, the situation is direr. 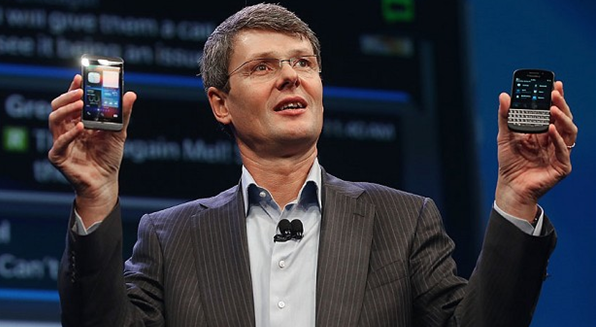 CEO Thorsten Heins announced during BlackBerry’s earnings call that in Q2 a total of 5.9 million devices were sold, of which only 3.7 million devices contributed to the revenue. A more disturbing statistic was the one which showed that older BlackBerry devices were outselling BlackBerry 10 devices. Buyout might be on the cards! As such, BlackBerry is now looking for a buyer, wither one which will buy the organization outright or a deal in which it can offload its devices division, which is similar to what Nokia has done with Microsoft earlier this year. Fairfax Financial, a Canadian financial firm that is owned by Prem Watsa, had made a $4.7 billion bid that is yet to be signed off by the board of directors at BlackBerry. The Fairfax deal will be valid till December, and BlackBerry has to confirm by then. In the meantime, it was revealed that the manufacturer is looking for other buyers, with the likes of Google and Cisco being interested in a deal. Earlier today it was found that BlackBerry executives have flown out to meet Facebook executives regarding a deal. Facebook might not seem a logical choice for a mobile manufacturer at first, but it does make sense. The social network has a billion users worldwide. If it found a way to ingratiate its services better in a mobile device, it would see a lot of consumer attention. HTC First was a device that was meant to offer such a service, but inherent flaws in the Facebook Home launcher meant that the device was doomed from the beginning. However, there might yet be light at the end of the tunnel as far as BlackBerry is concerned. A fact that emerged during the Q2 earnings call showed that hardware sales contributed to only 49% of BlackBerry’s revenue for the quarter. 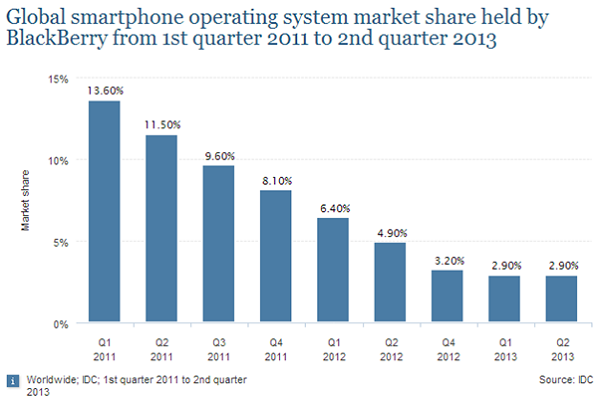 This is a far reduced number from the 60% seen in Q2 2012 and 71% in Q1 2013. This means that the reliance on hardware has been cut down to half, and that flagging device sales will hurt the organization outlook lesser and lesser in the future. BlackBerry at the same time has also seen a rise in its consumer user base, and this is the direction the organization will be headed in. 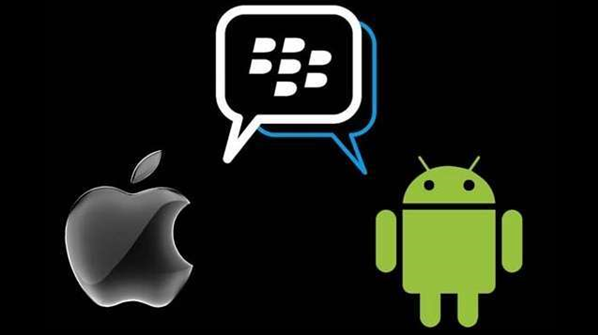 BBM Messenger, a long-time stalwart of BlackBerry devices, has been turned into a cross platform offering and was made available on Android and iOS platforms to wide success. In just under two weeks, BlackBerry claimed that it has accrued over 20 million active users. BBM is one of BlackBerry’s most used services, and its availability on more platforms would only serve to bring in more users. Also, BlackBerry has traditionally been stronger in countries like India, in which the manufacturer has a strong user base. A cumulative list of the Blackberry mobile price in India is a clear indication of just how many mobiles the manufacture sells in the country. While BlackBerry’s lower-end offerings attract more consumer attention than devices like the Z10, it is an area that the Canadian manufacturer can look into in the future. It only makes sense for BlackBerry to build on the services offered in BBM. And it looks like that is exactly what the organization is doing. The next feature that will be rolled out to BBM is BBM Channels, which is a new social networking feature that is similar in functionality to what Facebook offers with its Pages feature. Through BBM Channels, users will be able to amass followers, and organizations will be able to reach their desired audience better. 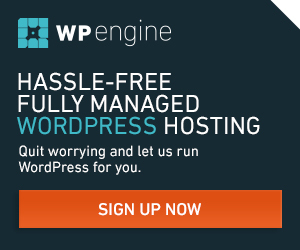 And in the long run, a service like this can be monetized with little effort. This has been a tumultuous year for BlackBerry, and the manufacturer has had to reinvent itself to stay relevant. If that involves being a software vendor to ensure continued consumer interest, then that is what BlackBerry has to do. Harish Jonnalagadda is an avid reader of science-fiction novels. A long-time Arsenal fan, his other interests include gaming, basketball and making music. He has been tinkering with hardware since he was a kid, and likes customizing his gaming rig whenever he gets the time. Informative Post, got to learn a lot about Mobile and Blackberry.